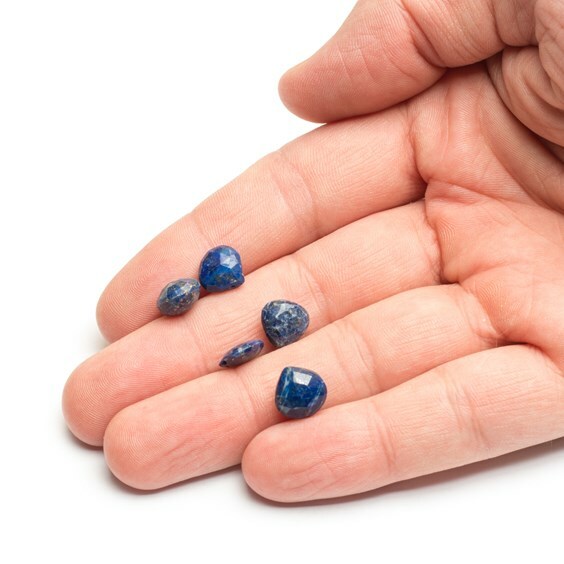 These lapis lazuli heart briolette beads (also called teardrop briolettes) are a good strong blue with beautiful flecks of gold pyrite. 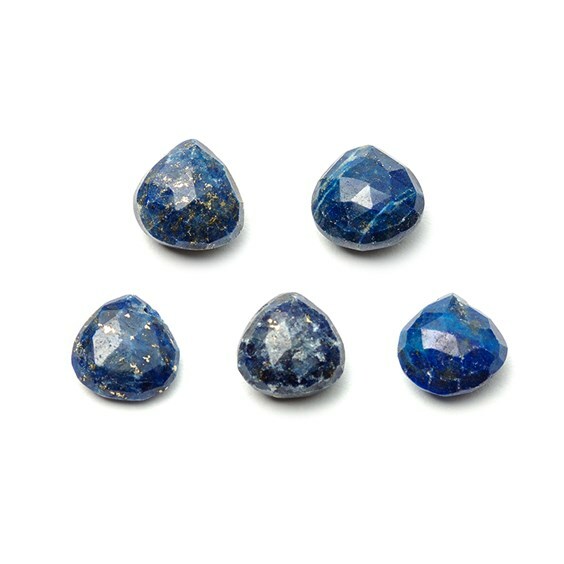 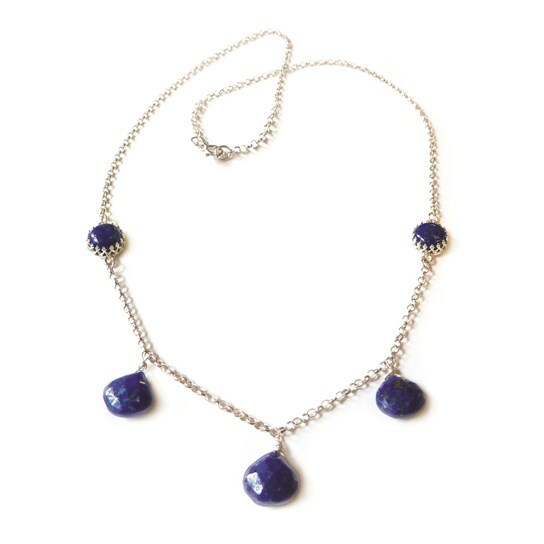 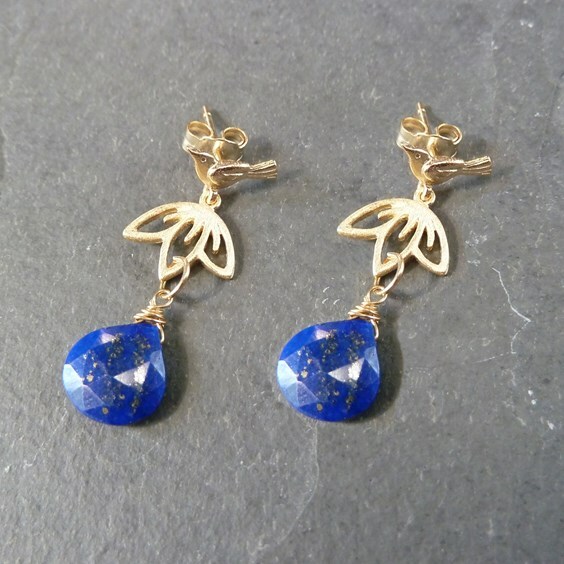 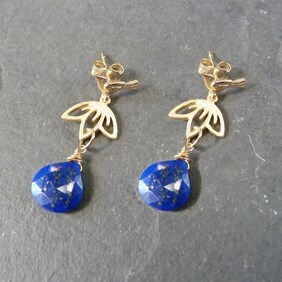 Lapis lazuli is such a rich blue colour that it`s always a firm favourite with our customers! 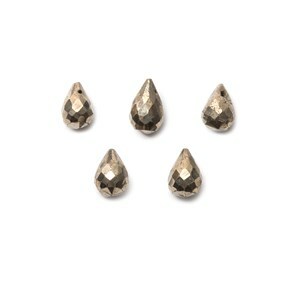 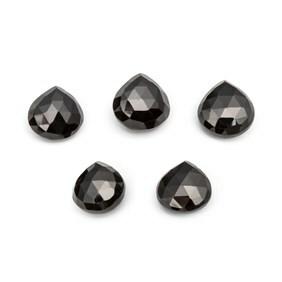 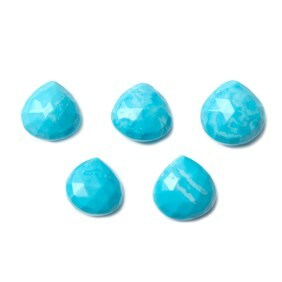 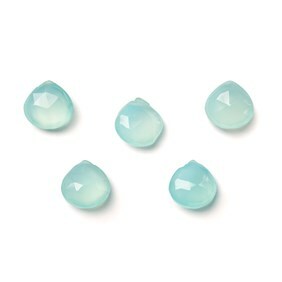 The facets give them some extra sparkle so they`ll make a really special piece of jewellery and they are beautifully cut.